Dortmund - Borussia Dortmund duo Pierre-Emerick Aubameyang and Lukasz Piszczek are on their way back to Westphalia earlier than planned after picking up knocks on international duty. Aubameyang injured his ankle in Gabon's African Cup of Nations qualifier against Sudan and will miss their next fixture against Zambia as he instead receives treatment back in Dortmund. The 26-year-old tweeted that the injury is "not so bad", however, and he may still be able to play for BVB against Hannover at the weekend. Piszczek misses Poland's clash with Gibraltar on Monday after being given permission by his national team to return to Dortmund after picking up a groin strain in the 3-1 defeat to Germany at the weekend. 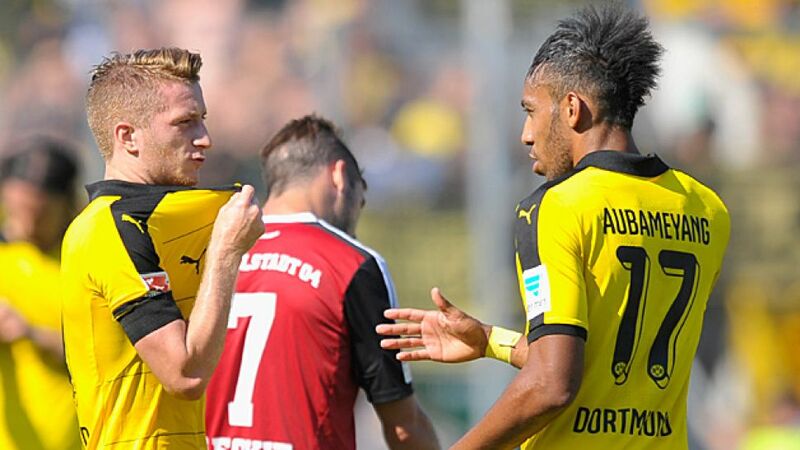 They join Marco Reus back in Dortmund after he was forced to pull out of the Germany squad with a toe injury.